Furniss grew up in London, and moved to Birmingham in her teens. 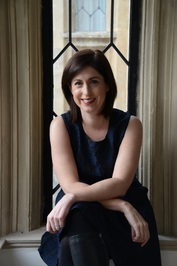 After brief stints as a waitress, a shop assistant, and working at the Shakespeare Centre Library in Stratford-upon-Avon, she studied at Cambridge and Aberdeen. She went on to work in media relations for the homelessness charity Shelter and spent several years as a press officer for the then Mayor of London, Ken Livingstone. She now lives in Bath.